Slepalex - cool Natur Morte! especially flowers are fantastic! and metal parts. and reflected windows. Hansmar - great abstraction! i like your imagination. your morning hex nut, gentlemen. Electro-Elvis – love the clouds, lighting is good too. Finn –very nice unusual renders, all of them. Hansmar - the experimental abstracts are so cool, did you intend the faces/masks or were they accidental. The Robots are awesome. Slepalex – stunning still, beautiful lighting. I got a new toy eh tool for Christmas. The blanket might get a few more polys, but the result IMHO is not too bad. mermaid010: Thanks for the comment. The mask / face was coincidence. Or maybe serendepity? I do like to see where the experiments take me and then try to make the most of it. This is similar to the way I make abstract paintings; not a lot of thought in advance, but trying to steer the accidental things that happen, until I get something I like. You're abstract is also very interesting. Like some balloons and marbles in a bowl. Electro-Elvis: ROFL! Hé, that's not the way to use a blanket! Or is it a very big towel, or mop? Some giant trying to clean the floor and thinking you're man is a bug? Very funny render! Hope you all had a very nice Christmas and wish you all the best for a safe and happy 2017. Slepalex - beautiful landscapes, love the vegetation. The second one is my favourite. Horo- That is a gorgeous wintery scene. Perfect for a Christmas card. Hope you had a good one. Finn - Although dark. They are very interesting looking renders. Mermaid- If you saw the summer dress I'm wearing at the moment, you would think they stole the pattern and colors from you.... One of my favourite combination of colors. I like it. Electro - Elvis - Thats funny. It reminds me when we use to as kids throw things on top of our dogs head.... He would have the same stance. adbc - beautiful Happy Holidays render. Hansmar - thank you, yes, you remember correctly. Cool abstracts, Piggy with negative light reminds me of Ernie, a lady I haven't seen around here for a long time. She experimented a lot with very bright scenes she toned down with negative lights. The shapes look a bit like from a chees game. I like how it came out with the lights in them. Slepalex - beautiful still life. I love Bryce because we are not limited to do realistic landscapes and photo-studio like portraits. It gives the artist so much freedom. And there are times we discover new options and we are not certain whether they were meant to work the way they do or a bugs that can be exploited. For example, if you use an HDRI backdrop for a TA render and set HDRI Effect to 0, the backdrop Intensity is exploited by the TA feelers. 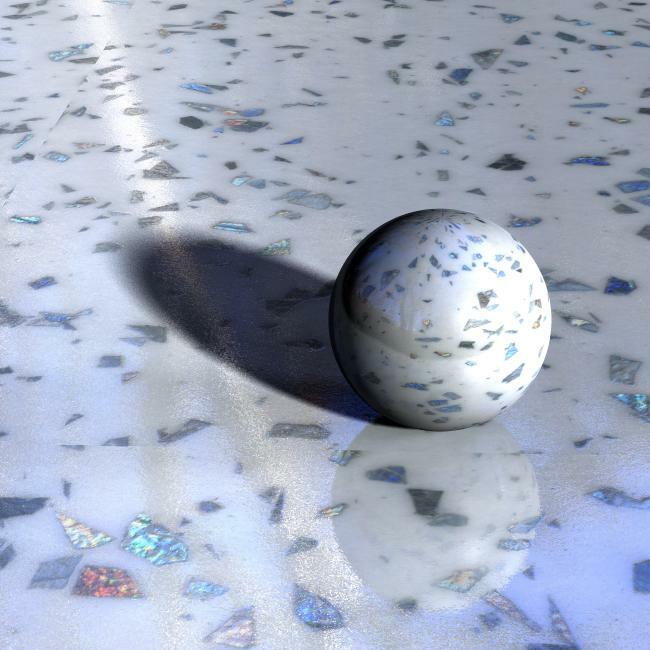 If HDRI Effect is not zero, the brightness of Intensity is ignored for the light. 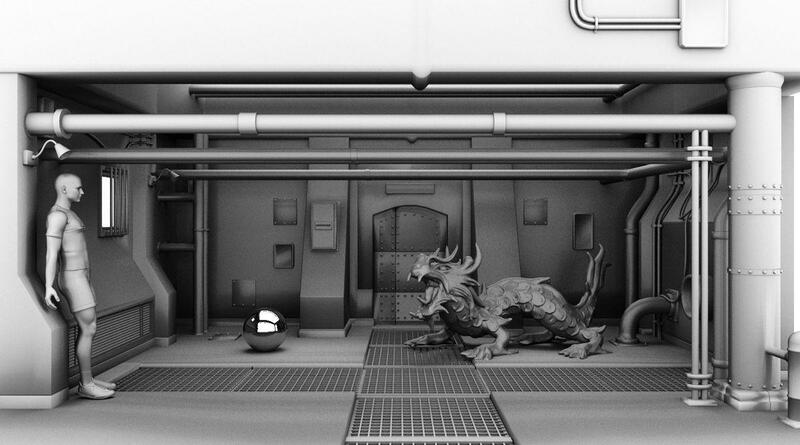 I experimented the last few days to emulate somewhat AO (Ambient Occlusion) and Clay Renders. 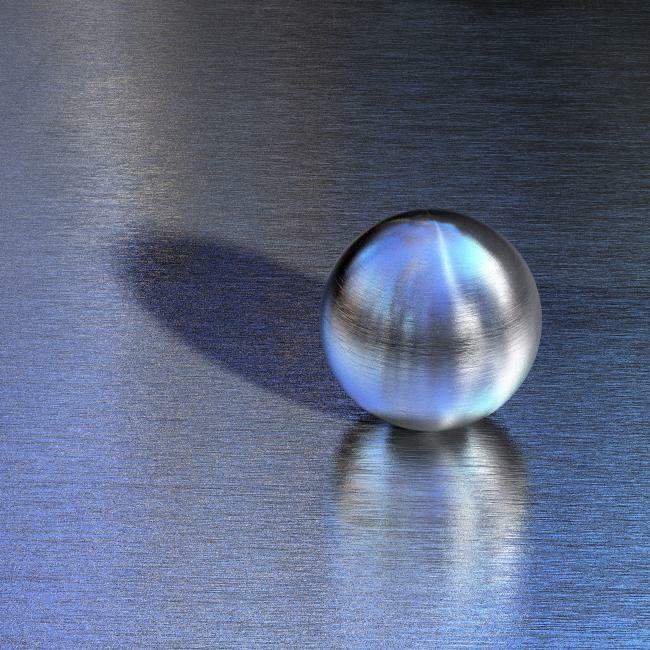 The contrast can be controlled by the ratio of the object's Diffusion and the HDRI backdrop Intensity, which is not possible when light is used (I have a PDF on my website under Documents > Sky with my findings). Here is an example. That's right Horo, the first things to understand with Bryce is that there's alway something new to experiment and to learn. Very interesting explanation about O.A, looking forward to read the Full pdf on your website. Thank you very much for this lesson. I've been doing a dt of Fairy renders. I all the others the fairy is naked so I can't post them here, but I've done this one specially for the forum. @Mermaid010: Lovely abstract. First I saw a plate with artificial fruits on it, but the human mind always wants to recognize something familiar in a pattern even there isn't anything there. @Dave: Starting the new year with such a fairy is surely a good start. @Vivien, Hansmar: Thanks you very much. I played around with indoor scenes. Until today I always switched the atmosphere off, when I made an indoor scene. But yesterday I wonder, what happen, when I would use Haze, a lot of haze. Here the result. The first scene is without and the second is with Haze (Density = 94, Thickness = 35, Base Height = 0, Color RGB 55, 48, 42). Both are rendered with TA with 64 rpp. The "ambiend light" comes from 3 sphere lights. Render time about 35 minutes. Actually I prefer the scene with the haze, but it is a matter of taste. What do you think? I'm guessing she's just moved in ElectroElvis. Yes, the atmosphere is very useful as a way of decreasing contrast as it can act like a fill in light as it introduces more ambient light into a scene. @Electro Elvis : really nice indoor scene! I like both but prefer the second one with haze on. Have you ever try to make the same test with Dan whiteside fog dome? Render time will increase severally with it but you will also get improvement in terms of ambiant. Dave - nice fairy render. The spiderweb looks very realistic, good use of DOF, too. Yes, haze can act a bit like a fill light, equalising contrast. The caveat is that it has the tendency to fade bump and part of the geometry, making objects look as if they had some ambience. But used consciously, it can improve an indoor. Electro-Elvis - thank you. Your indoor is very nicely lit. Good idea about the haze, it evens-out the ambient light. I definitely prefer the one with haze. If the lady is a heavy smoker, you can turn haze up yet a bit. I had a quick go on Haze (great idea Electro-Elvis). Stonemason's Ministry and a Black Widow spider. 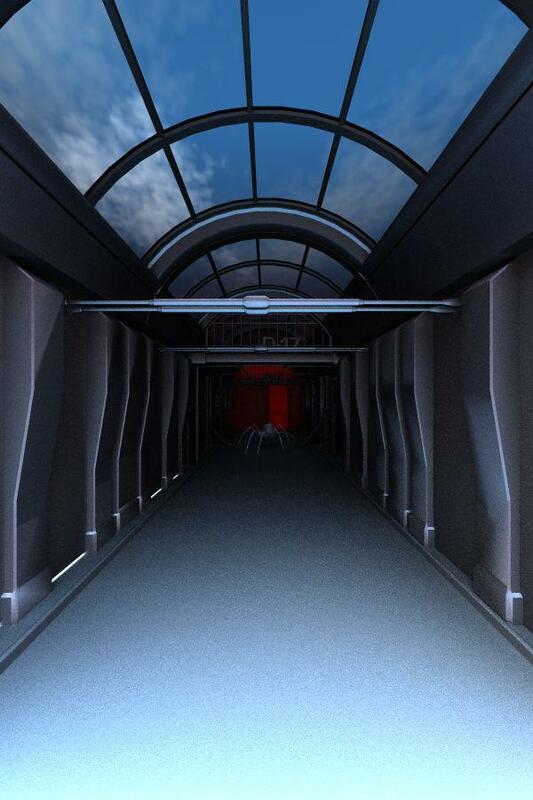 The HDRI was made from the sky, the glass on the ceiling is 6% transparent (otherwise the sky would be white), HDRI Intensity 100 and the building 40% white diffuse. Red Haze Density 2, Thickness 9 Base Height 0, Colour Perspective 100%. Not a good example to light a room naturally but an interesting effect. 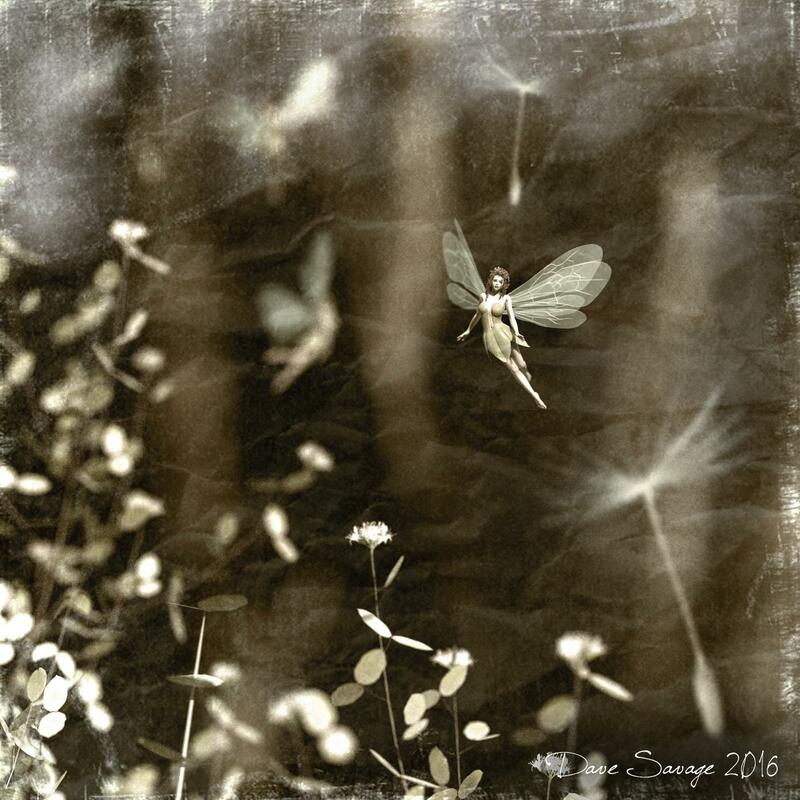 Dave Savage: Nice fairy render. She looks very vulnerable. 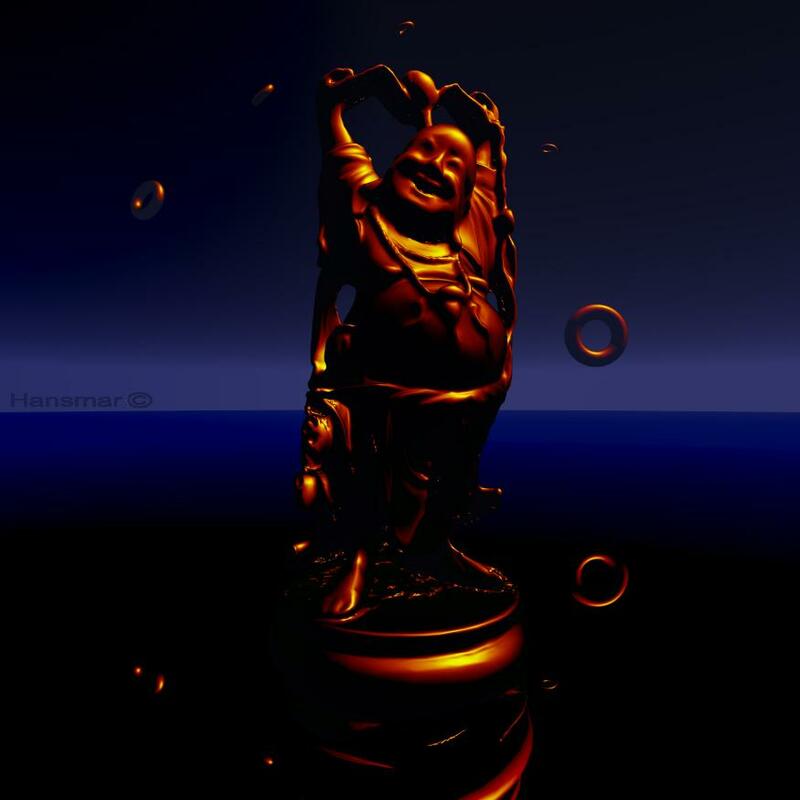 Electro-elvis: nice indoor render. I find there are many ways to work with light in any scene (now experimenting with negative lights). I think the second render is a bit warmer and therefore, I prefer it. If I were her, I would put the TV set on a table or so, because this is bad for her neck! 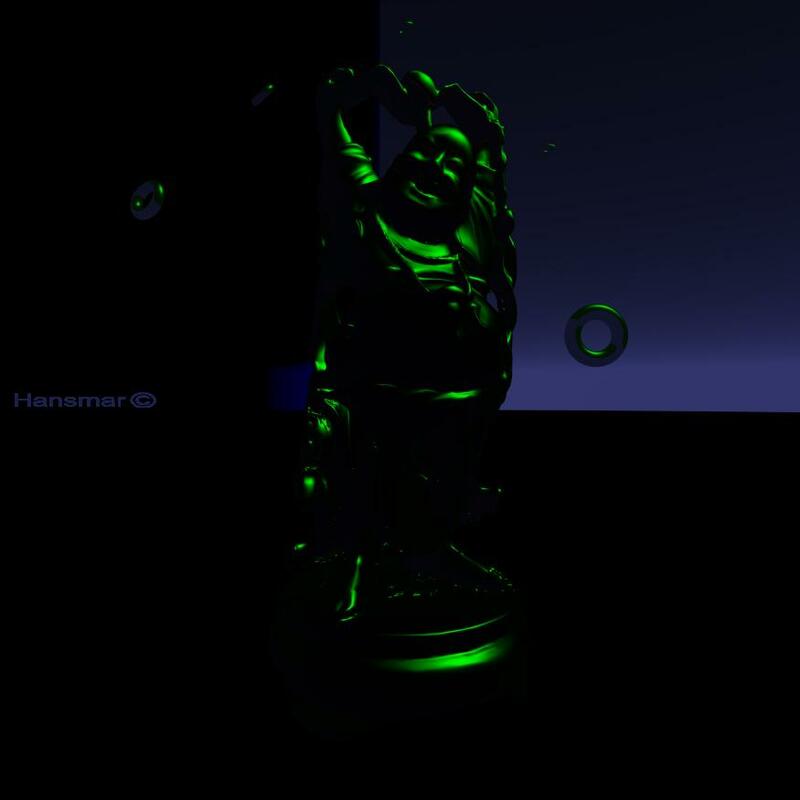 Horo: Interesting render. The red at the end of the hall works nicely with all the blue colours. I made another abstract, this time with a mixture of coloured negative and positive lights. The negative lights lead to the light coloured shadows. There are all kinds op options! Some quick new abstracts. 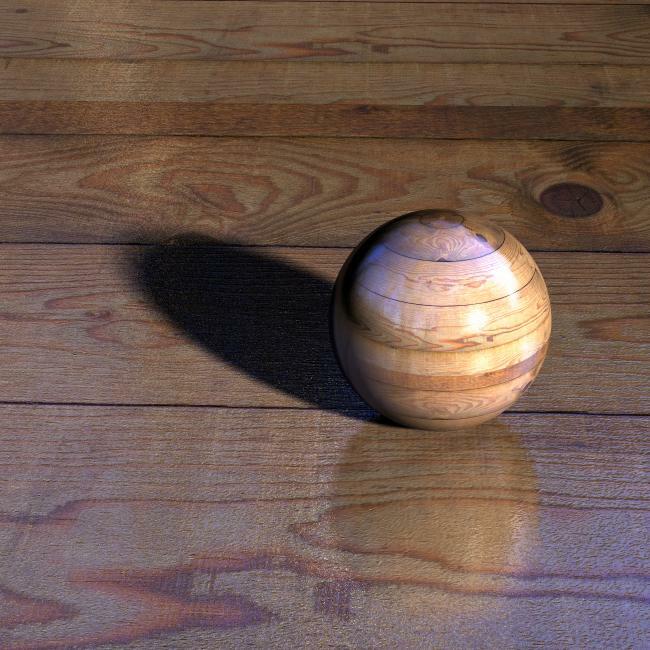 First one with five negative sphere lights of different colour and a positive distant fill light, second one with the reverse: the sphere lights are now positive and the fill light is negative. I call them 'precious stones'. I decided to make the lights visible (you see just one and a bit in this setting). This shows that the visible light is white, whatever colour you give it (which is remarkable). For comparison, the same stones and lights, but the material for stones modified by taking 'fuzzy', 'calculate curvature', 'find concave' and 'hard edges'. Modeled some armor for Poser's 10 Roxie. Reminded me of an old Edgar Rice Burroughs Book. Have all a very creative new year with Bryce! Here's a first render for 2017 but I am unhappy with the result which doesn't look the way I like. I've modeled the rocks with wings3d. That's not properly monument valley, I know I'm far from the result. Cactus are coming from xfrog south ouest america bundle. Hansmar - nice examples for the use of negative light. By the way, there's also negative specularity for the light sources. S Ray - armor looking good in this light. c-ram - great start, it looks complete to me but it always depends what one has in mind. S Ray: Good looking armor. Guess this is around Mars somewhere? c-ram: I like the scene and render very much. Don't see anything wrong with it. But, like Horo says: it depends on what you want yourself! Horo: Thanks. 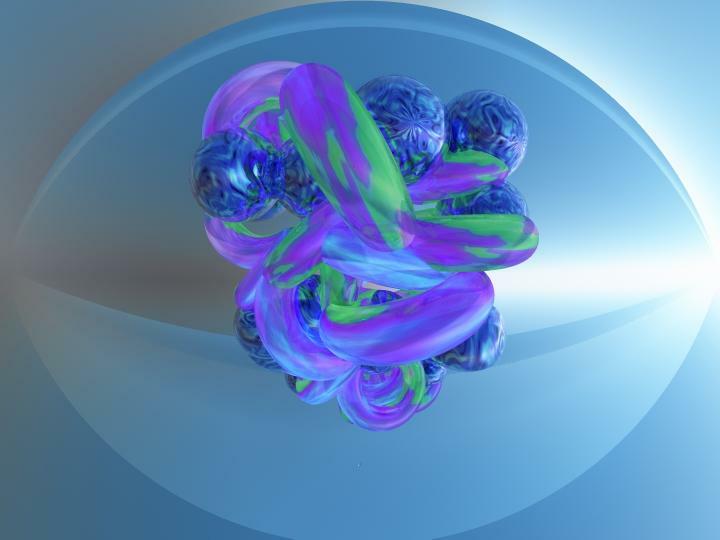 I did use negative specularity too in these renders. I'm still not sure whether I will find substantial real use for the negative lights. Here the use of negative light in a landscape. The first one is in normal light, with two stacked terrains. Sun at 50% diffuse, 100% specular, IBL from sky at 1 intensity and 2 HDRI effect. The second one is the same set of terrains (same material too), but with -20 diffuse and -20 specular sunlight. 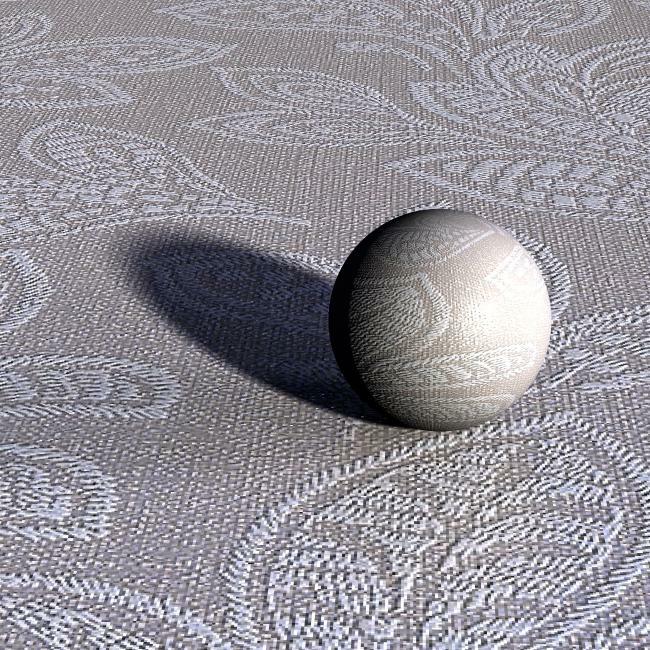 IBL does not do negative light, so I added a negative fill light (-25 diffuse and -25 specular). Unfortunately, forgot to make it distant, therefore the strange dark spot. I will do one with a distant negative fill light, but I have seen that I need a much lower negative value, to not make the whole terrain dark. 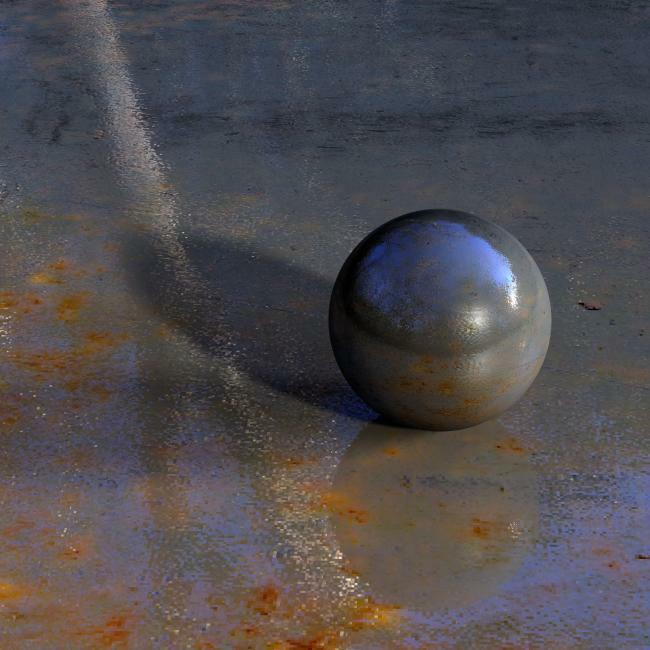 Now rendering one with -2 for diffuse and specular for distant fill light. I like the effect of the negative light in the snow-mountain terrain. Provides some drama to it. 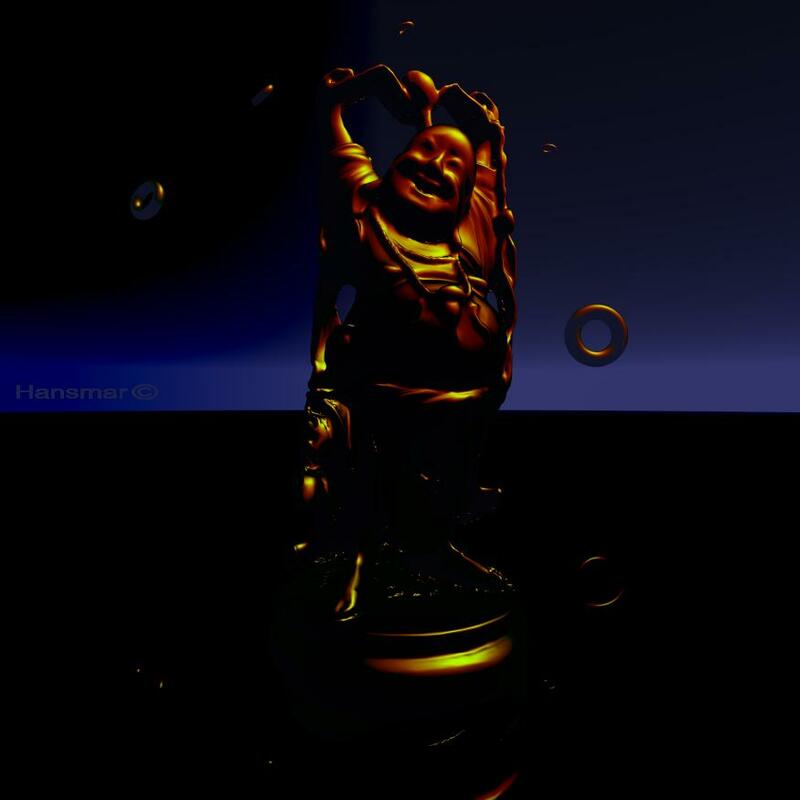 Here is a render of the 'Stanford Buddha'. I think I overdid the 'smoothing' a bit. Nevertheless, I like the result. Negative diffuse for sun (-100), but positive specular (100). Diffuse colour is purple, specular is yellow, with a similar specular halo. Sun glow, sky and horizon colour very dark blue. Greyish purple haze colour. I put a big, big standard grey cylinder around the scene. Hope you like my experiments! I seen to be stuck with fairy at the moment... I've already done 7 different pictures in different poses and slightly different settings. Here's another one I put clothes on just for the forum (the dandelion seed was added in Photoshop). 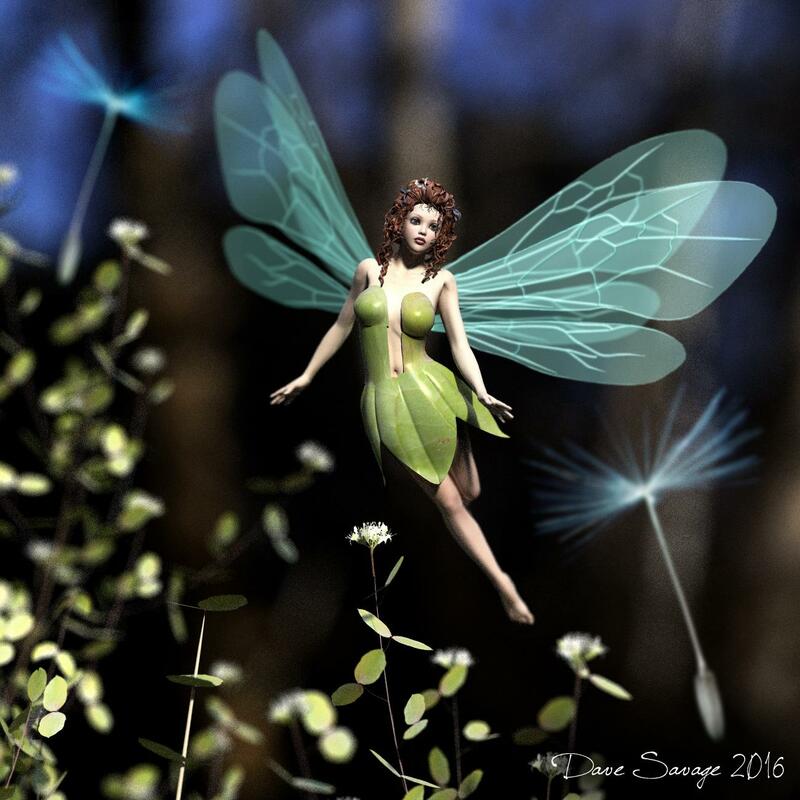 Dave Savage: Also a very nice fairy render! Like it very much. Maybe her dress would look a little more 'leaf-like' with less specularity? Thanks Hansmar... I just used the same material and settings as the texture on the leaves of the bush. Here's an alternative version of it, proportions changed and antique effect added. Working tonight on expanding my series of photo based materials. These are all as the name suggests, based mostly on photographs of textures which are then mixed with parameters available in the mat lab. They are not tilable so are only useful in a limited number of ways and some have turned out better than others. In these test renders, I've kept the lighting conditions basically the same.